Hi folks! 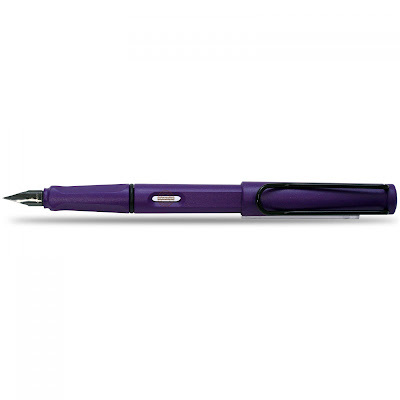 The release of the Dark Lilac Safari fountain pen is quickly approaching. Here's a bit of a teaser for those of you still wondering, "Do I really need another Safari in my life?" Early morning while walking the dogs I see the first Spring tree full of Purple Martins in Maryland. I take my beautiful Dark Lilac pen and sketch the crisp morning skyline dappled with deep purple birds. This Dark Lilac color is absurdly captivating. With a side-eye glance the pen appears to be a normal, well-to-do pen. But when you take a good look at the Dark Lilac it's a deep, complex grape color. I've noticed this about many purple colors (i.e. my recent foray into the Caran D'Ache Ultra Violet). Due to the pebbled plastic finish the light disperses at the surface creating a silky sheen. 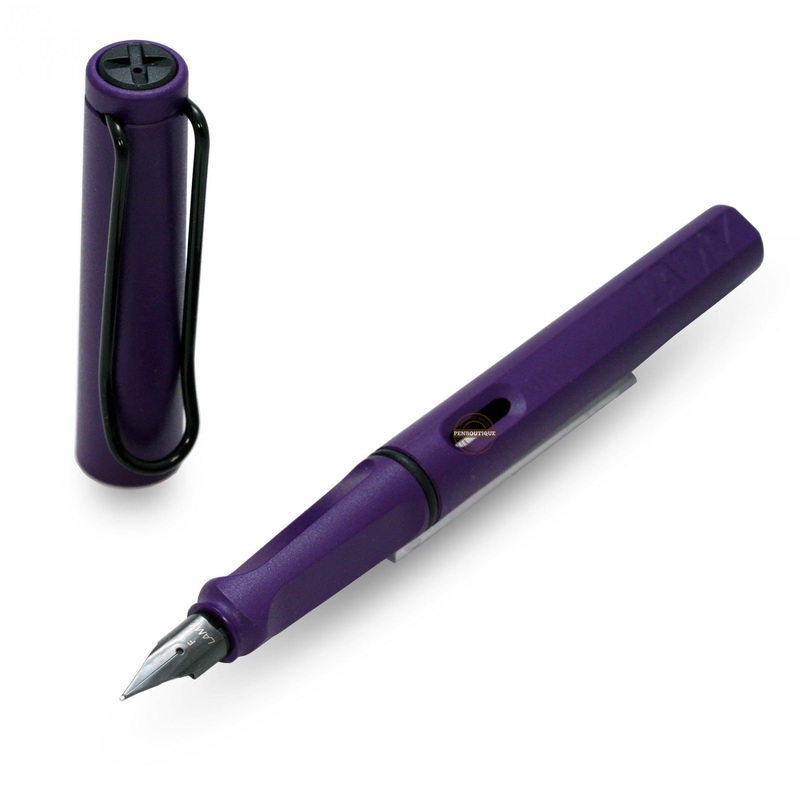 The nib and clip are black-coated steel. I think this was a great choice on LAMY's part-- the color of the body is the star and the black clip and nib take back-seat. The feel is precisely the same as the Charcoal Safari fountain pen. For those that have not used a Safari pen, I would describe it as a fairly light, ergonomic pen with a pebbled plastic feel. It feels and IS extremely sturdy. The feel in the hand is perfect for people (like me!) who may have slightly sweatier hands. 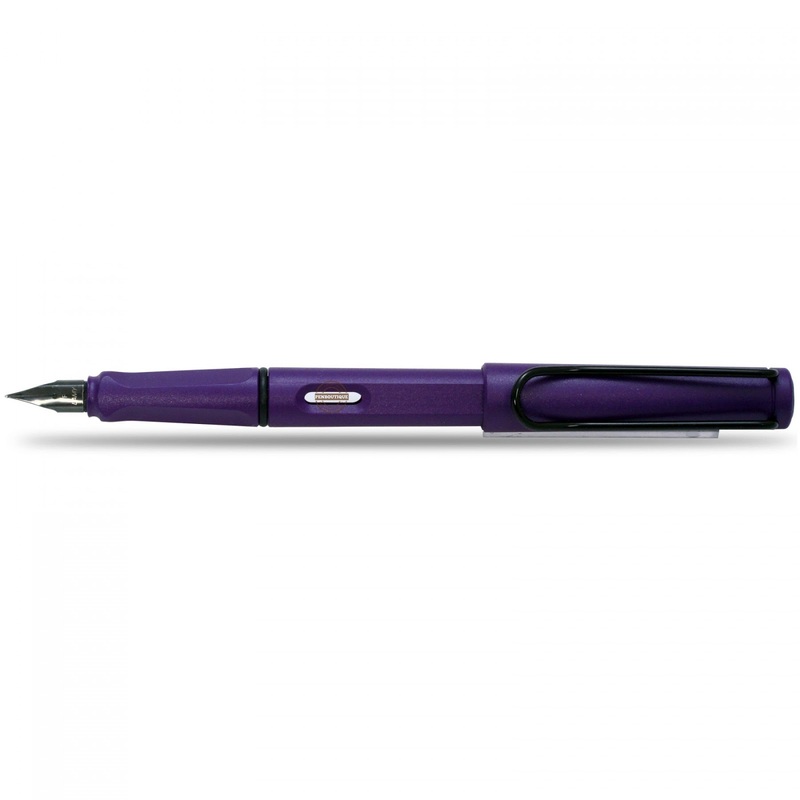 Because of the pebbled finish the pen wont slip around when writing for long periods of time. I love how dirt and fingerprints wont show on the body of the Dark Lilac. It has a friction-fit cap, which is perfect for people who need to quickly jot notes. The cap will post beautifully on the back of the pen body. The clip is a black-coated, rounded, hefty wire that will slide easily onto any pant, shirt, or bag-pocket. Writing: If you've used a Safari in the past then this is the same deal. It's a smooth writer with a large variety of nib choices. It's especially suitable for folks who like to lay down a larger line. It's super easy to switch out the nib if you would like to try another size. If you want to stick with the black-coated steel nib then that would limit you slightly to XF, F, M, B, and Left-y. Pre-orders are open on Pen Boutique. Please contact us if you have any questions or want to talk pens!